Everyone is welcome to join in the monthly “Theology on Tap:” casual conversation focused on God and our faith. We learn about Christianity and consider our spiritual path in many different ways. At Theology on Tap, we eat good food, drink good beer, and meet excellent people as we think deep thoughts. What more could you ask for on a weekday night? Topics vary month to month, but the conversation is always meaningful and enjoyable. Come and share the questions of your heart, from the most basic to the most profound, with others who have similar questions. 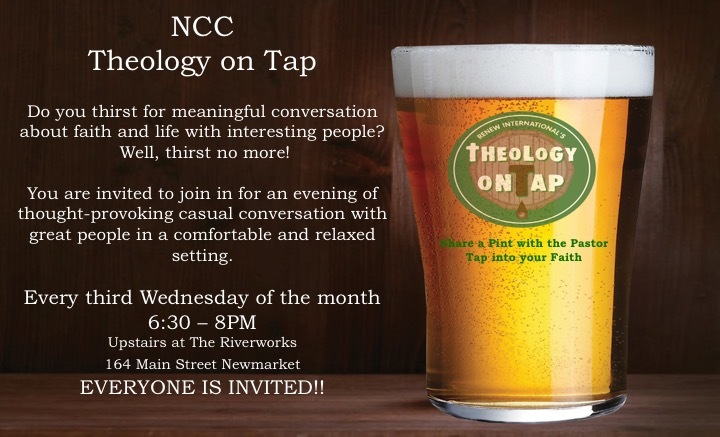 Theology on Tap is held at a local restaurant on the third Wednesday of each month. See our News and Events page for details on our next meeting.